they start with the question of what men/women desire; what turns them on sexually? and they take a group of heterosexual males, and have them watch a variety of movies w/sexual content -two men together, two women together, a man and a woman.. animals mating..
" women are turned on by everything!" (i'm exaggerating to make their point). even ~ i ~ can share my thoughts, ideas, opinions, observations and arguments on this topic. to use sexually stimulating movies as a research method will show only what desires/stimulation can be MANIPULATED/TRIGGERED (and i imagine this changes with culture, age, ..long list here). it would be more interesting to see -in the absense of any/all- visual triggers. -what then, happens in terms of true appetite for which foods..
because i've done my own scientific research on my own sexual appetite and desires and have discovered the following. very, very, and highly cyclical. or if you hook me up to biofeedback machines and have me watch mother's caring for their newborns, i'll probably demonstrate high levels of love reaction..
when i have energy, i create. when i'm horny, i self-cultivate. (little euphamism from christiane northrup). i don't eat, for example, even if i have an appetite, when i'm cashering.. i wait until my break. i don't cultivate, when i'm eating.. etc. and write down day/time. also write down day/time of monthy period. do this for several months in a row.. or years. 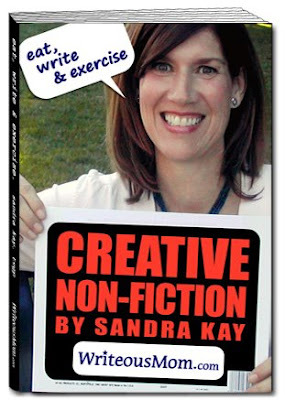 -really, this should be a life-time experiment i'm thinking..
conclude: sandra kay is write again! eat, write & exercise. i'll be wearing one for my upcoming readings. like: "itz~itz a beautiful fish!" (among a long list of others). so customer can pick n' choose: " i want that design, in this color, on that style/color t-shirt"
and royalty is paid to the artist. "I LOVE IT!!" -creative fires lit and flaming. a prayer and blessing for our new neighbor's.. "great success wished for you! at thriving ink"
"so n' so got 36 rejections before s/he got published!" i've heard that story, with a different horrific number (75 times! 83 times!) -and a different author's name, a million times. -good for so n' so- i don't have that kind of patience; that strong of heart; that thick of skin; or that kind of time. i'm familiar with wingspan and david collins through the publishing/distribution work he's done for karen hogan's annually published anthologies: literary harvest's (see books on my website, writeousmom.com). and thank you to david collins and wingspan press, my book will be available for sale and on the market late april/early may 2009. -in just a matter of weeks! I AM VERY PROUD AND EXCITED! eat, write & exercise is a collection of my best creative non-fiction stories, + a few special poems, + a few select sandyland cartoons from the archives, written by me, and illustrated by my extraordinary artist friend nancy eddinger. i wrote & published using my own/organically grown style of grammar, style and punctuation. i included really mushy/gushy, cliche' and over the top heartfelt dedications..
-because i can. because i wanted to. because i mean it. i put comments on the back from comments left on my blog, which will make sense to some/but not to others, because of the colloquial abbreviations (people who know, know, and people who don't, will ask and catch on.. -this is my thinking). come one, come all, come as you are..
meet over 30 authors + visual art show/pleasanton poetry, prose & art festival. 2+ hours entertainment: music, art, dancing, readings, ... good old fashioned social, creative fun! THANK YOU IN ADVANCE FOR YOUR LOVE & SUPPORT!! every reader is a blessing. every comment is a gift. and every self-published book is a small miracle. please keep my robin williams in safe hands. my prayer is for a successful surgery and 100% recovery. for this i pray.